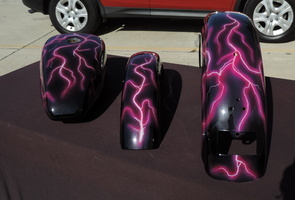 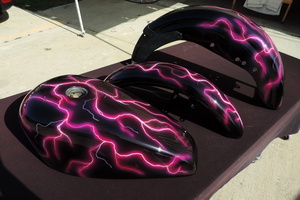 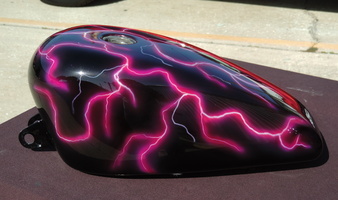 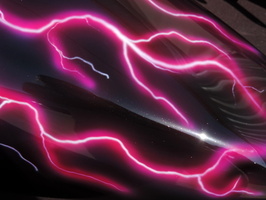 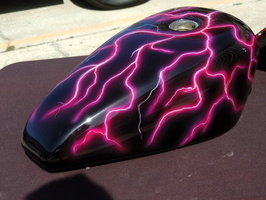 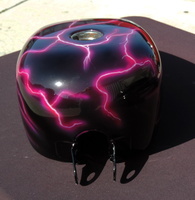 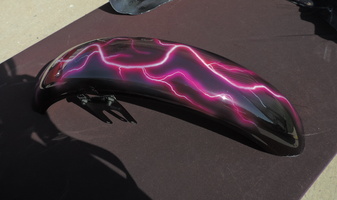 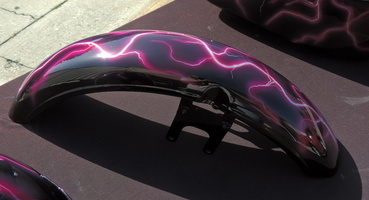 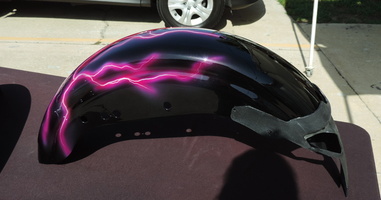 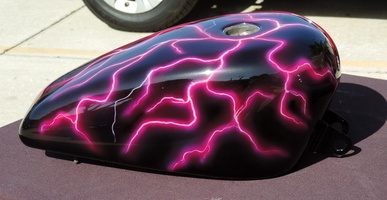 Awesome looking Pink lightning graphics airbrushed over a black basecoat with some added pink "sparkle" in the basecoat that shows up in sunlight. 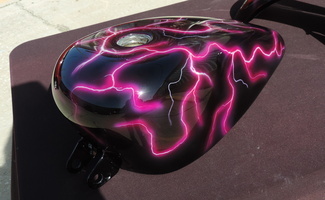 This lightning just "glows" in the sun! 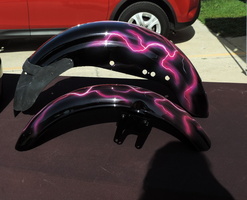 See what a major change this painted set made to the bike by going to our Customer Rides section and viewing our Reference #CR5624.